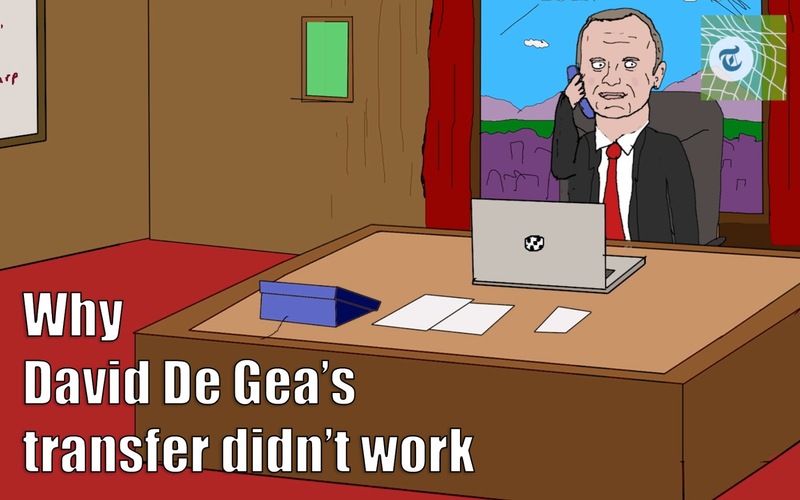 Ed Woodward's negotiation techniques are revealed in this shocking real life footage of a cartoon parody of what may have happened. In a cartoon. 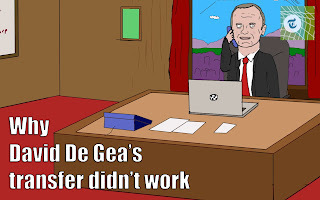 We all know now that Ed Woodward is a negotiator of the most deranged kind but what we didn't know is that he uses only the telephone and a laptop which looks like a Macbook pro. And yes I have just flipped around the office set that I use all of the time to make it look like I've drawn a new background. Thanks for asking.